A collection of plays highlighting a variety of genres featuring locally based actors, writers and directors including the festival’s first all-Emirati production, taking place today and tomorrow, at The Black Box, The Arts Center at NYU Abu Dhabi and at The Junction, Alserkal Avenue, Al Quoz. Tickets available online. shortandsweet.org. Expect traditional Scottish specials at Dhow and Anchor, Jumeirah Beach Hotel, to celebrate an integral part of the Scottish culture. A traditional Scottish bagpipe player will play throughout, plus the resident Scotsman will be giving renditions of ‘address to the haggis’ in the evening. Menu will aslo be available tomorrow. Call 04-4323232. Scottish import Copper Dog will be celebrating burns night from 5pm with live music, bagpiper and special offers on beverages. A special menu of Scottish cravings has been lined up. For football fans the FA Cup action Arsenal vs Manchester United, will be screened on multiple big screens. At Double Tree by Hilton, JBR. Call 052-9175512. A celebration of art and culture under the theme ‘Ctrl+Alt+Action’ taking place over two days with kid-friendly activities including performances, workshops, tours, film screenings, food concepts, and live music. At Alserkal Avenue, Al Quoz, today and tomorrow from 10am to 10pm. Free and open to the whole family, including pets. alserkalavenue.ae. 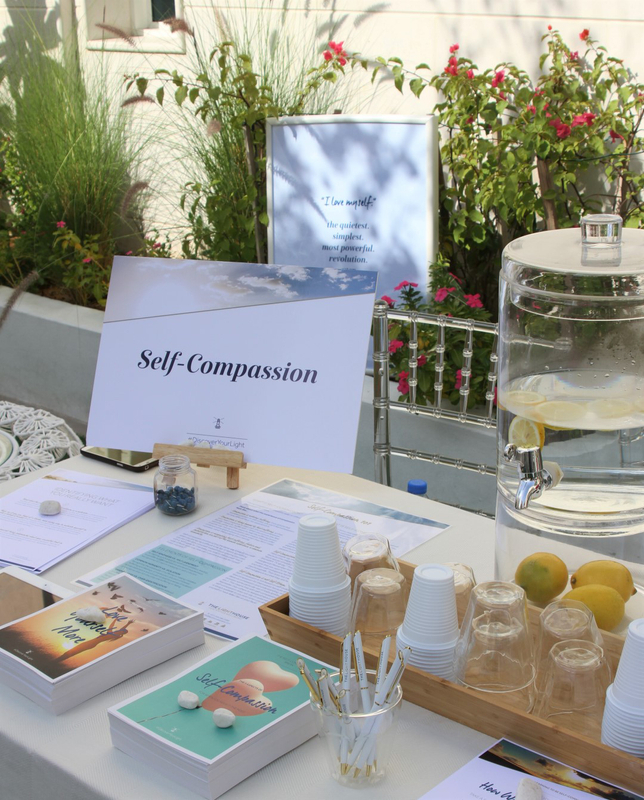 A wellbeing day of interactive workshops, informal discussions and activities for all ages from 11am until 4pm at The LightHouse Arabia, 821 Al Wasl Road, Al Safa 2. The day is suitable for anybody who wishes to explore the lighter side of psychology and gain direct experience of the ways positive psychology can enhance their wellbeing. Attendance costs Dh105 per person, for ages 12 years and above, children from 4–11 years old and nannies attend free. Tickets include all-access to workshops, talks and activities. lighthousearabia.com. A Gujarati talk show titled Maha Bharat with veteran speakers Ms Kajal Oza Vaidya, Jay Vasavada and Ankit Trivedi taking part, followed by patriotic songs performance, at Shaikh rashid Auditorium, Indian High School, 7.30pm. Free for all. Bring family, bring mates and even bring your pets for a fun gathering over food, family movies and kids workshops at City Centre Me’aisem’s second edition of its pop up community hub. The area just outside the mall has been transformed into the vibrant communal space inspired by food markets, food trucks and stalls, movies, entertainment and activities for visitors of all ages. Starting today until March 25. Weekdays rom 4pm to midnight and weekends from 12pm to midnight. Girders Garden are throwing a G’Day party with a full line up of Aussie treats, today and tomorrow at JA Ocean View Hotel on The Walk, JBR. From 12.30-3.30pm on both days, there will be a full Australian garden BBQ. Little ones can get involved in the kid’s playground or garden activities, all to the melody of Aussie-themed anthems. For the competitive amongst you, a fancy-dress competition plus a pavlova-making contest will take place. Prices starting at Dh159 for adults and Dh100 for nippers (under 12 years). Call 04-8145590. Celebrate the day with a backyard brunch featuring a selection of flavoured grilled Australian favourites. The barbeque experience will also feature a plethora of treats from the Middle East, Africa, America and New Zealand. At The Courtyard, Manzil Downtown, 1-4pm, Dh245 for the soft package and Dh345 including unlimited house beverages. Children (6-11years)Dh133 per child. Call 04-8883444. The sixth season of Inspire Life kicks off with a screening of La Belle Verte (The Beautiful Green), painting an untold story of an extraterrestrial’s adventure on Earth, encouraging viewers to question the conventions of human society on our planet by looking at it from the eyes of beings from a completely different planet. At The Jam Jar, Al Serkal Avenue, at 6.15pm. Free, rsvp to attend. locomotionuae.com. Auto exhibition in collaboration with UAE Offroaders club that will showcase customised and modified off-roading cars from today and tomorrow, at Al Ghurair Centre. The activities will include live DJs, fun games for kids, raffled giveaways and other on-spot competition for guests. 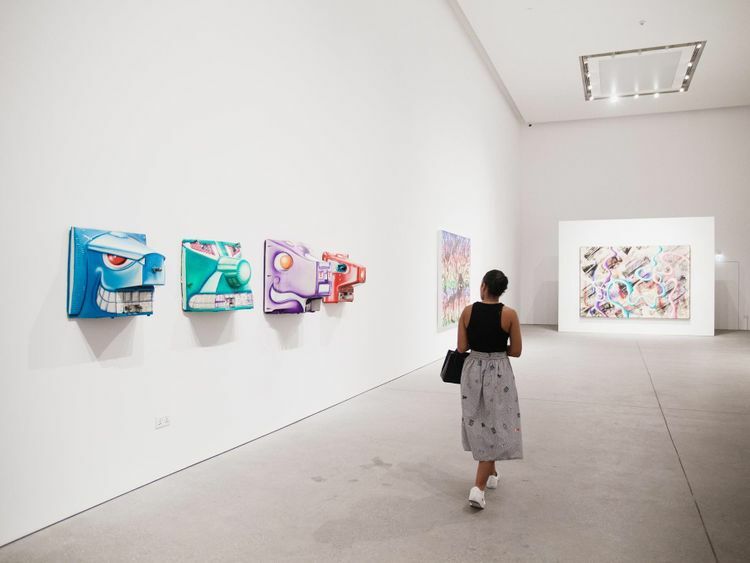 From 10am to 10pm, entrance to the exhibition is free. Interact with Happy Pepper, optimised for human interaction with the robot engaging with people through conversation and his touch screen. Customers and kids will be able to recognise faces and basic human emotions, today and tomorrow and on February 1 and 2. At Oasis Mall, from 11am onwards. Egyptian pop singer Hani Shaker, known as The Prince of Arab Singing, will be performing his debut concert at Al Majaz Amphitheatre, Sharjah, performing hits from his 40-year musical career including Hekayet Kol Ashek. Lebanese singer Wael Jassar (above) will follow, performing his hits like Ghariba El Nas, Nekhaby Leih and his own renditions of Arabic all-time favourites. Tickets available online, starting from Dh100.